Repurpose x-acto blades? Absolutely you can do that! This simple and quick tip had a huge response in last week’s email, twitter, & even on FaceBook. It was shared, retweeted, and commented on more times that any previous tip I had posted. So today I will show you how you can take that old, grungy, and slightly beat up old cutting blade and repurpose x-acto blades into something more useful. I bet by now you’re wondering what that awesome tip was. It was the post above: “Don’t throw out your OLD exact blades. Use scrap clay, made a handle, and embed them inside. 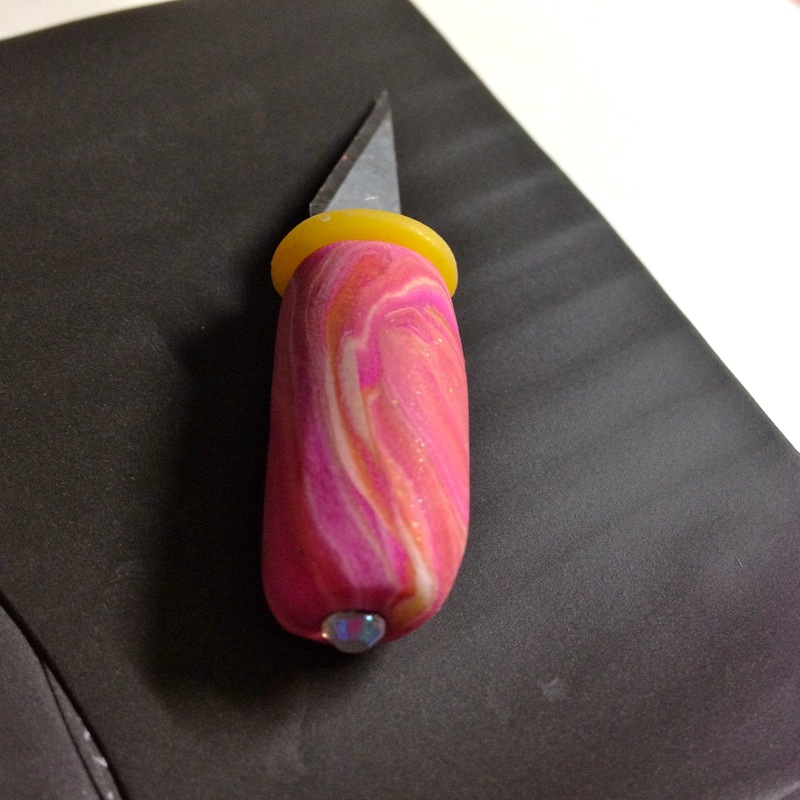 Makes a great utility knife.” While that may sound basic … I was surprised the number of twitter comments I got in response… especially those asking to SEE what I had done with it. 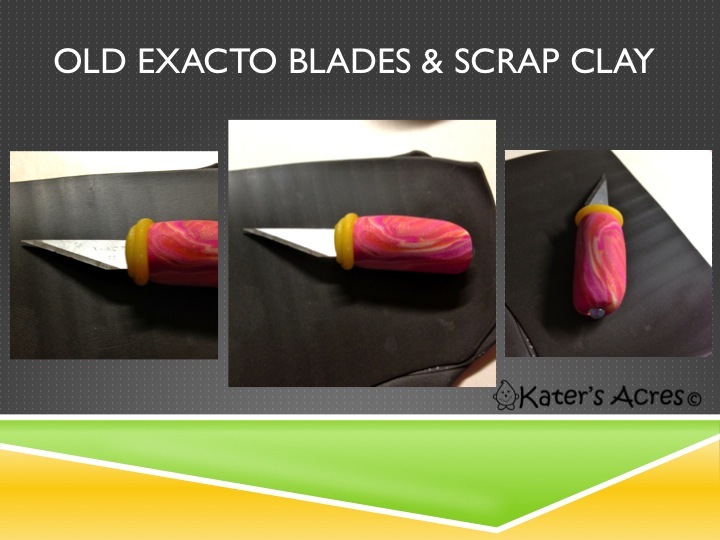 So today, I thought that I would show you exactly what my scrap clay & repurpose x-acto blade look like. It’s not fancy, but it is kind of pretty for scrap clay. To make your own: use a repurposed x-acto blade (which means a damaged x-acto blade) that has been well loved during your crafting and embed it into a snake of clay. Very carefully close the clay around the blade by rolling it. I added a snake of scrap yellow clay as a top design to “seal” the seams better. I also added a little bling with a glass hot fix crystal. I want to be as kind to our environment as I can without going to extremes and this is just ONE way that I can do that. You can’t see it in the picture but there are several large “dinks” in the steel that make it difficult to cut perfect edges anymore. But for rough cuts and small places, this is ideal. 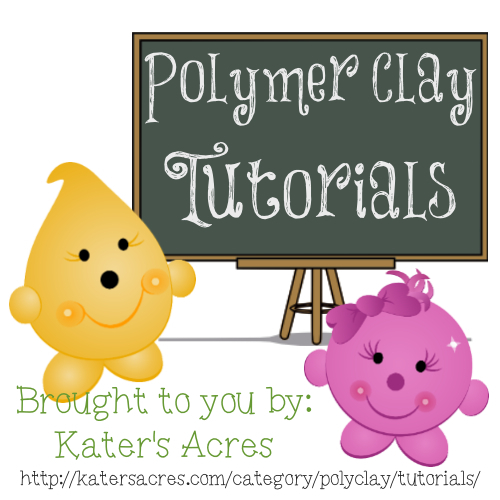 Enjoy & let me know if you try this polymer clay tutorial and make one of these for yourself! Next post: What Makes Parker Special? This is one of the greatest Ideas ever” I am making one right now.